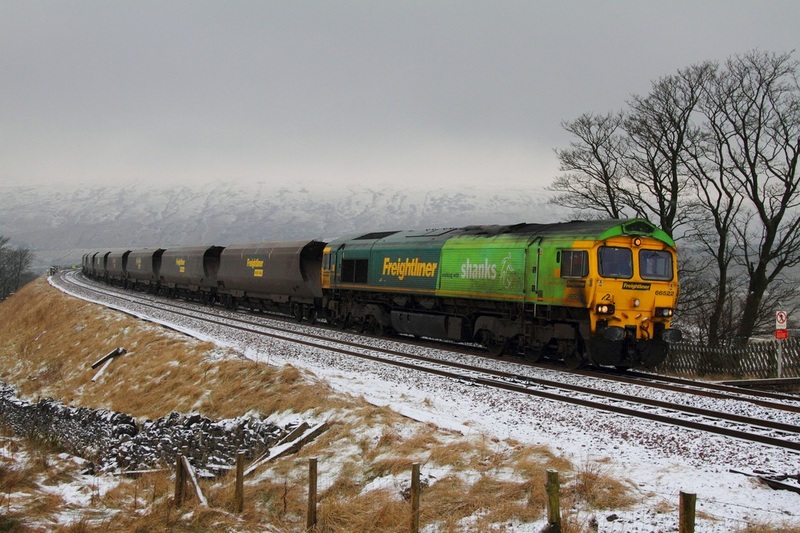 Freightliner Shanks 66522 works the 6M11 Killoch to Fiddlers Ferry at Ribblehead loaded freightliner coal on the 4th February 2012. 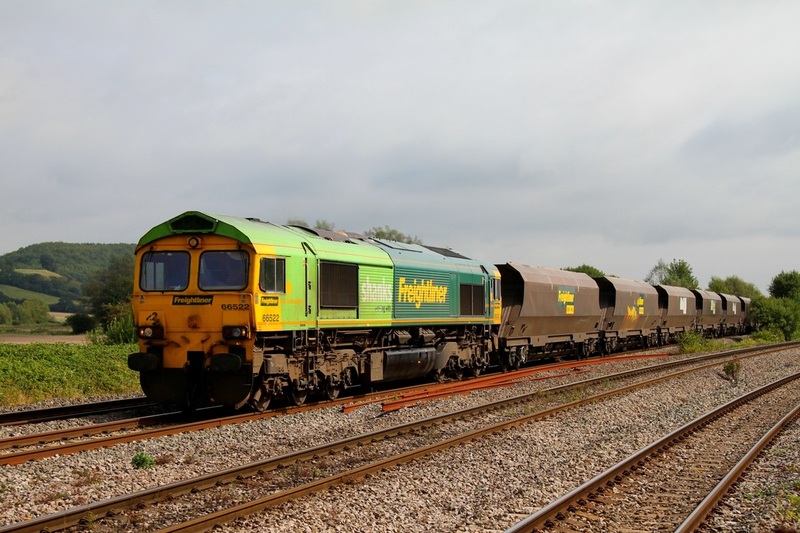 Freightliner Shanks 66522 hauls the 6M04 Portbury to Rugeley coal at Bishton on the 4th September 2012. 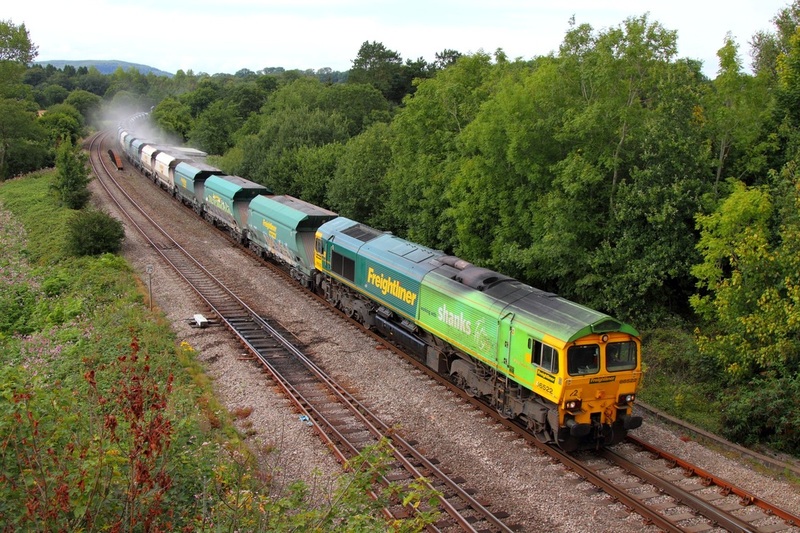 Shanks liveried 66522 hauls the 6B75 Neath to Cardiff Pengam stone train at Miskin on the 17th August 2011. 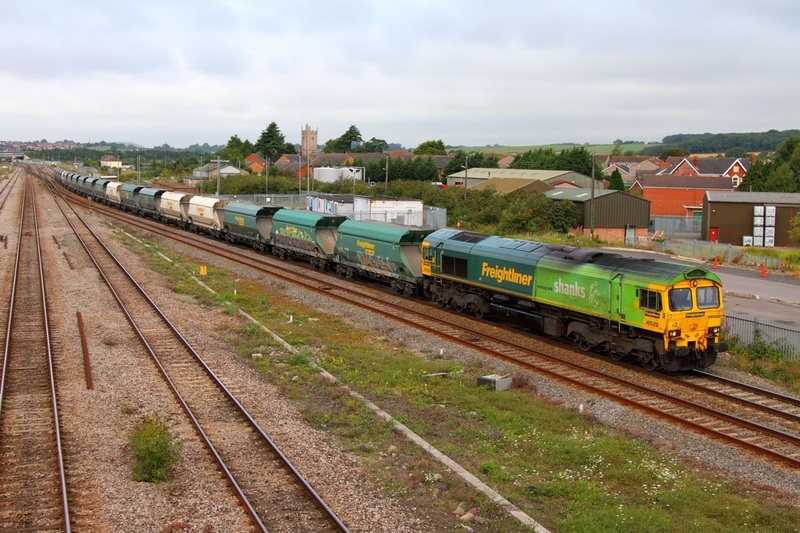 Shanks 66522 works the 6A28 Pengam to Theale at Severn Tunnel junction on the 20th August 2011. 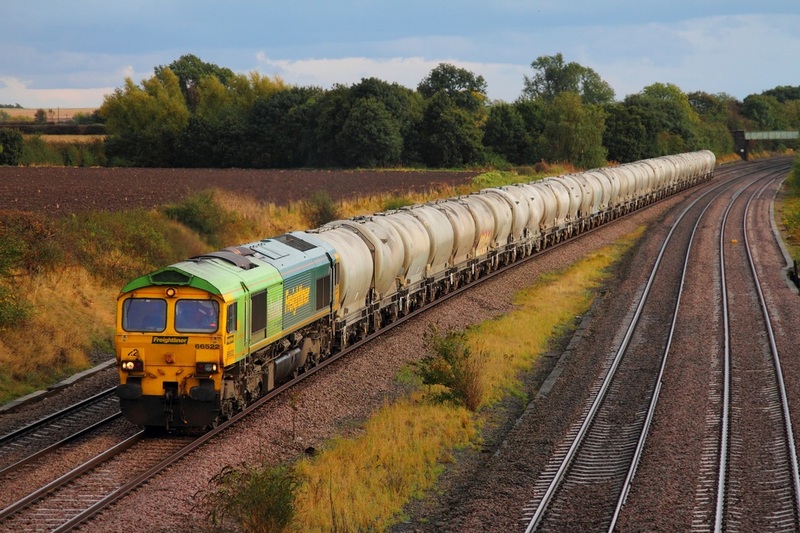 Shanks liveried 66522 working the 6M91 Theale to Earles at Normanton on Soar on the 15th October 2012.